In an attempt to curb the negative impacts of problem gambling on the local population, the Government of Singapore has decided to increase the daily casino entry levies for its citizens and permanent residents by 50%. The new fee of SGD150 (approx. US$110.89) will take effect at midnight on Thursday, April 4, and will be paid when visiting any of the two integrated resorts in the country. 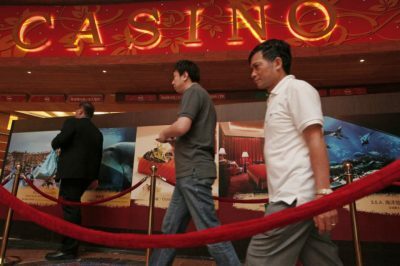 The news for the hike in the casino entry fee was announced Wednesday by the Ministry of Trade and Industry, Ministry of Finance, Ministry of Home Affairs and Ministry of Social and Family Development in a joint statement. There is a 50 percent increase in the annual entry fee, as well. Now, Singapore citizens and permanent residents who want to visit Marina Bay Sands and Resorts World Sentosa will have to pay SGD150 for one day or SGD3,000 in case they wish to buy casino access for one year. Previously, the daily and annual passes for the locals were SGD100 and SGD2,000, respectively. The fee revision is one of the measures to restrict the gambling-related harm on society, authorities said. It is expected to “deter” impulsive gambling by local players even further – the government wanted to reassure that problem gambling is, in fact, under control. The number of local visitors to the two integrated casino resorts has also seen a significant decline in the past few years, according to the ministries. Figures from a recent survey by the National Council on Problem Gambling reveal that Singapore’s problem gambling rate has fallen from 2.6 per cent in 2010 to only 0.9 per cent of the country’s population in 2017. There were approximately 67,500 active casino exclusions by the end of 2018 – more than half of them (57.9%) were automatic exclusions (people who are determined as undischarged bankrupts and others), while 38.2 percent were family exclusions. Only about 3.9 percent of all entries in the list were self-exclusions. In addition, the National Council on Problem Gambling had restricted around 7,000 Singaporeans from accessing casinos. In 71.9 percent of these occasions, the limited access was necessary as the customers were financially vulnerable citizens and permanent residents of the country. The increase in entry fees was one of several key announcements made in the joint release. 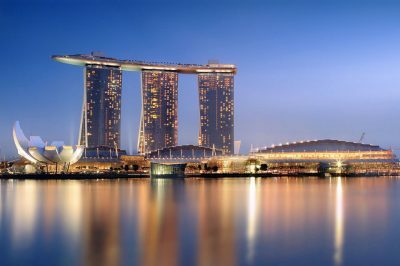 The Singapore Government also agreed to extend the exclusivity rights of the two casinos to the end of 2030. This means that during the next 11 years, no other casinos will be approved in the country. Another change that comes for the two integrated casinos is the tax increase planned under a new tiered structure. Under the premium gaming category, the casinos will have to pay 8 percent of the gross gaming revenue (GGR) if it is up to $2.4 billion but if they manage to generate more, their tax rate will jump to 12 percent of the GGR. Mass gaming will be taxed with 18 percent of GGR up to $3.1 billion, while the revenue from these types of games is greater, it will be subject to a tax rate of 22 percent GGR. Currently, the operators of the two integrated resorts – Genting Group (Resorts World Sentosa) and Las Vegas Sands (Marina Bay Sands), pay 15 percent tax on mass gaming and only 5 percent on premium gaming. Meanwhile, the two casinos announced they plan expansions that are expected to require a total investment $9 billion. Authorities have allowed Marina Bay Sands to expand its casino area by 2,000 sq. m., while Resorts World Sentosa will be able to add another 500 sq. m. to its casino floor. According to the plans, Marina Bay Sands will build a new, fourth tower with a sky roof, a swimming pool and a restaurant, near its current three towers. The resort will also have a state-of-the-art 15,000-seat arena, as well as additional exhibition and convention space. 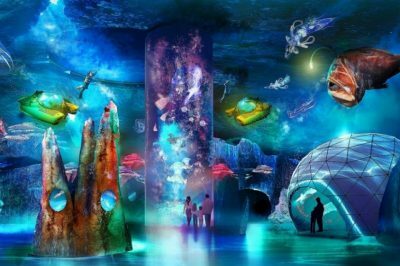 Resorts World Sentosa, on the other hand, will introduce brand new attractions between 2020 and 2025. The Universal Studios Singapore, which launched in 2010 when the resort opened, will be expanded with the Super Nintendo World and the Minion Park, which is set to replace the existing Madagascar area. The current S.E.A. Aquarium will be revamped and rebranded as Singapore Oceanarium, which should be three times larger than the attraction available right now. Along with a total of 164,000 sq. m. for new parks, Resorts World Sentosa will build two new hotels with a combined capacity of around 1,100 rooms.